When a person abuses alcohol, it can have a severe impact on all parts of their life. Not only can drinking too much be dangerous to a person’s health, but it can make it difficult to maintain relationships, succeed in school, and hold down a job. Many people drink socially, however, and don't experience these problems. So how do you tell if you're drinking too much? Here are five signs that you may have a genuine drinking problem. If you have a problem with alcohol, you may no longer feel in control of how much you drink. For example, you decide to have just one or two beers but end up consuming all of the bottles you have in your fridge. In social situations, you may continue drinking long after everyone else has stopped for the night. Lack of control is a common sign of addiction. Having an alcohol problem can make a person feel guilty and like they have something to hide. If you regularly lie to others about the times you've had a drink or how much you've consumed, it could indicate that you're in denial, which is a common sign of addiction. Friends and family will have a hard time determining whether you have a problem if you mislead them. As well as misleading others, you may lie to yourself about how much control alcohol has over your life. When you go from drinking occasionally to drinking heavily on a regular basis, it may start to interfere with other activities in your life. You may skip out on work or school because you're still drunk from the night before or too hungover to function properly. Alcohol may also take precedence over spending time with friends or family, and you may be less interested in hobbies you used to enjoy. Drinking has become your main focus. A person who has an addiction to alcohol has likely developed an emotional dependence on it. You can't relax without having a drink, and you're compelled to drink any time you experience stress or anxiety. Alcohol may offer a short-term relief to your day-to-day problems, but it will only cause them to grow in the long-term, and you'll want to drink more as a result. 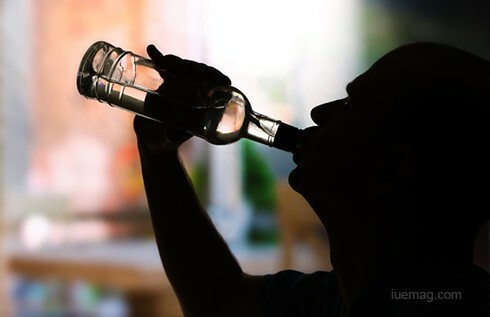 Drinking on a regular basis means that your body will build up a tolerance to alcohol. At first, it may take relatively little to make you drunk, but as time goes on, you need to consume more and more in order to feel the buzz you crave. Alcohol tolerance can build up over time, so you may not even realize it's happening. If you stop drinking for a while, it can help lower your tolerance back down to its previous level. These are just some of the signs that you may have a drinking problem, and different people will have different experiences. If your consumption of alcohol is having a negative impact on your life in some way, it may be time to consider cutting back on how much you drink or stopping altogether. It can be difficult to quit on your own, so you may want to consider seeking help from an alcohol rehab center in Florida. A structured treatment program can give you the medical and professional guidance you need to solve your drinking problem. Doing research can help you find an appropriate alcohol rehab center.